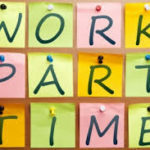 Looking for Part-time telemarketing job? If you are looking for a part-time telemarketing job, here is your selection. We are in need of additional part-time workers. This is work from home and telemarketing job. This position is one whereby you will be measured on results. However, it’s not high pressure. You will have a list of businesses to contact and will need to speak professionally (this will be tested). You must also be able to take excellent notes to be entered into our database later. If you have measurable success performing telemarketing in the past, please provide references to such. We are looking for an immediate hire for telemarketing job and therefore can only contact those we’re interested in moving forward with an interview. We therefore ask that no phone calls are made regarding this open position. If you can send a link to a recording to your voice, i.e. YouTube video, audio file, etc., that would be awesome. This is Shilonda Downing, signing out for Virtual Work Team. Where did all the time go ?